Whether on holiday or visiting for a few hours, there’s plenty to explore close by! Whether on holiday or visiting for a few hours, there’s plenty to explore close by. Whether you’re into market towns, Thomas Hardy, Terry Pratchett, walking, cycling, hill forts – it’s all here! There are great walks from The Trooper Inn (we have handouts here for you to borrow). 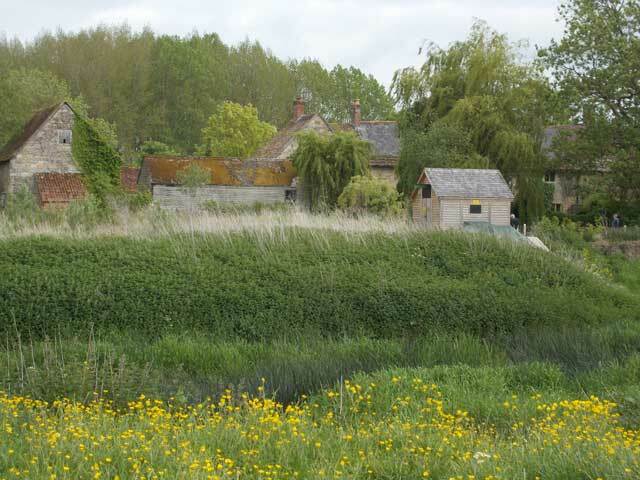 The BBC website has details of a walk along the River Stour by the house which Thomas Hardy once rented. The 12 mile trailway is an ideal off-road route for cyclists and walkers. There is much to be seen along the way - Fiddleford Mill, with the first hydroelectric generator on the River Stour, iron age hill forts - and a host of wildlife, including kingfishers and the occasional otter! The final stretch of the trailway, from Blandford to Spettisbury village, is also suitable for push chairs and mobility vehicles. Starting at Sturminster Newton, the trailway is an ideal off-road route for cycling. It's also quite level, for a gentle walk. The full route extends for 12 miles, along part of the former Somerset and Dorset railway line, close to the River Stour. There are many distractions! The historic Fiddleford Mill now has the first hydroelectric generator on the river. The trail then passes the ancient hill fort of Hambledon Hill and finishes by Spetisbury Rings hill fort. A host of wildlife can be spotted, including kingfishers - and occasional otters have been seen! The final stretch from Blandford is suitable for push chairs and mobility vehicles. If you're an energetic cyclist, you can join with Sustrans Route 25 on down to Bournmouth or up to Longleat! Nearby Stalbridge is said to be Dorset's smallest town and has held market rights since the time of King Edward I. Dating from the Saxon times, Stalbridge has an unhurried, olde world atmosphere that adds to its charm. 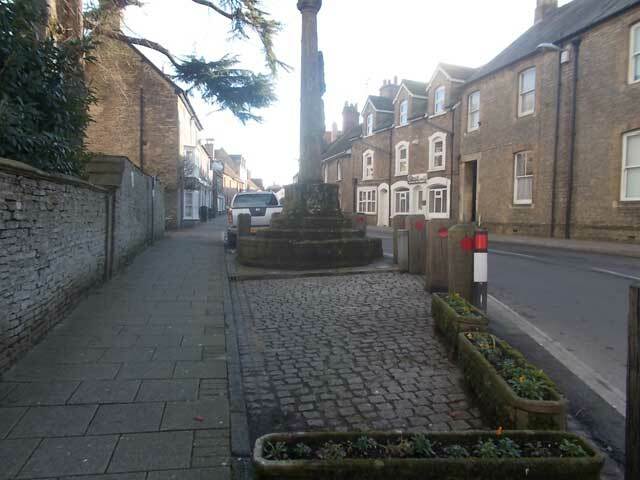 Along the main street, towards the church, you will see the 15th Century market cross, reputedly one of the finest examples in the country and made from local yellow 'Ham stone'. And there are some wonderful level walks at Stalbridge Nature Reserve. We are very fortunate that our local supermarket, in Stalbridge, is the biggest independent supermarket in the West Country and stocks produce from over 100 local growers, makers and bakers. Dike & Son is a family-run, award-winning, supermarket, first established in 1851. And there are some wonderful level walks at the Stalbridge Nature Reserve. The town was recorded in the Anglo Saxon charter in 968 as Nywetone at Stoure, and in the Domesday Book as Newentone. Set back from the main road is the market square and parish church, which was rebuilt in 1486 by the abbots of Glastonbury. The church was heavily modified in the 19th century, but the carved wagon roof remains. The 'Exchange' in the town is a popular venue which draws bands from a wide region, as well as hosting regular events. 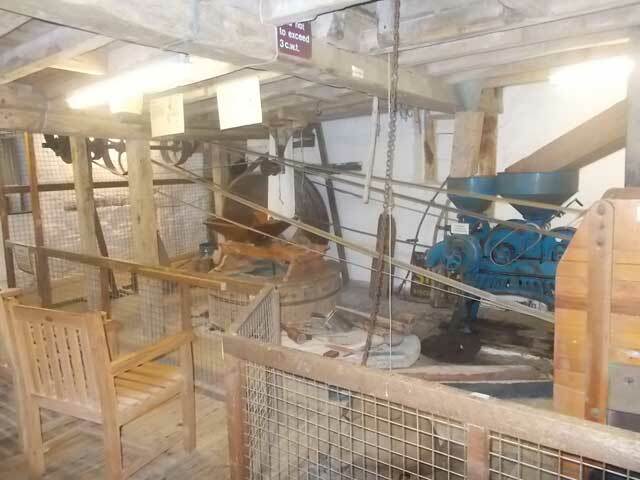 On the south bank of the River Stour is the watermill which was restored in 1980 and open to the public as a museum. 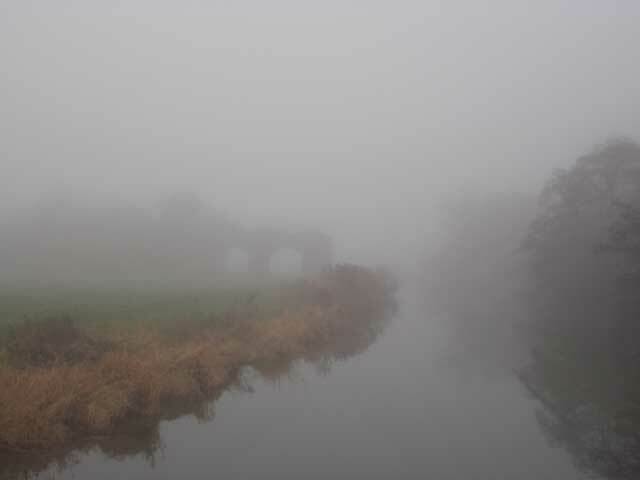 Hidden on a hill above the bridge are the ruins of Sturminster Newton Castle, on a crescent shaped mound which could be the site of an Iron Age hill fort. Thomas Hardy rented a house in Sturminster Newton, early on in his married life with his first wife, overlooking the River Stour and the region inspired his novel 'Tess of the d'Urbevilles,' with Sturminster being Hardy's 'Stourcastle'. Right opposite the Trooper Inn is Manor Farm, 17th century farmhouse formerly owned by Enid Blyton - and the setting and inspiration for her book 'Five on Finniston Farm' - part of the Famous Five series. In recent years, Douglas Adams lived at his mother's house in Stalbridge, where he wrote Hitchhiker's Guide to the Galaxy. Close to the nearby town of Wincanton, more weird and wonderful stories were being written, by Sir Terry Pratchett. 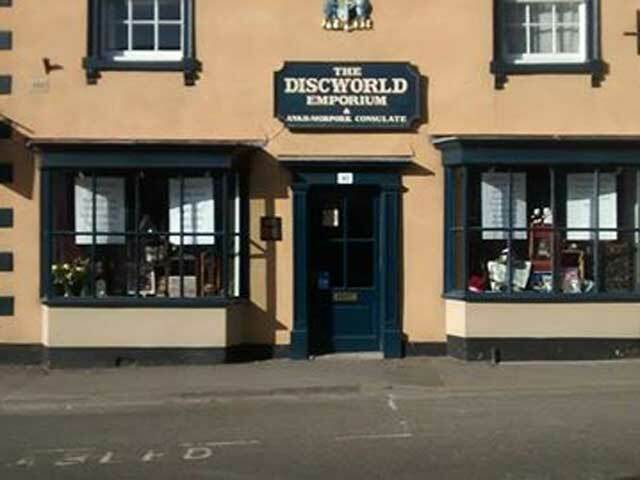 In Wincanton high-street you will find the small shop dedicated to Pratchett memorabilia, known far and wide by Pratchett fans - the 'Discworld Emporium', even providing 'Discworld passports'! On the way into Wincanton, by a roundabout, you might spot a sign saying 'Twinned with Ankh-Morpork - Terry Pratchett's fictional Discworld city, Wincanton being the first ever town to twin with a fictional place. In 2007, Pratchett opened a new housing development in the town which bears Discworld street names. Travelling around Stalbridge, you may see an ancient wall alongside the rural lanes. Said to extend some 5 miles in length, the wall originally surrounded a large, ornate manor house. Perhaps the most famous inhabitant was Robert Boyle. Boyle had been stranded abroad during the Civil War but returned in 1644 to find his house in a poor state and his personal safety also at risk. His family had shown Royalist sympathies - King Charles I had spent a night there during the war. In 1646, Boyle settled at Stalbridge Manor, and from that time he devoted his life to science and experiments, at a time when conducting experiments was controversial. Understanding that his results could be explained if all gases were made of tiny particles, he defined the modern idea of an 'element', as well as introducing the litmus test to tell acids from bases, and many other standard chemical tests.